Thanks to the influence from Jamaican and UK reggae music and his background in audio engineering, 24 year old producer Mystic Pulse brings a fresh and distinctive sound in the drum n bass and reggae/dub scene. By fusing inspiration from the sound system culture and his experience in creating diverse sounds, he delivers that bass music listeners know and love, but executed in a different style with every production. Mystic Pulse has been at work since he finished his training at SAE Institute. Within two years after graduating he has released two 10-inch records on Rasta Vibez (RASTA003 & RASTA004), both of which hit the top 3 drum n bass bestsellers chart at juno records. He also produced a 10 track CD in collaboration with Dutch reggae band Misty Basement and got featured on one of UK's leading bass music promotion platforms FatKidOnFire. His DJ-sets have often amped up the crowd, whether it's at the Outlook Launch party hosted by Subway Music (next to artists like Rockwell, Ivy Lab and The Illuminated) or during one of his unique vinyl sessions on an original reggae/dub sound system. Mystic Pulse currently lives in Rotterdam (NL), and besides producing music also plays a part in the local club scene. He enjoys taking part in (co-)organizing events like the legendary 420 Reggae party, which took place in an old tropical swimming pool. He has also hosted his very own stage at the Tegenstroom Festival in August this year. We expect to hear more releases in the near future, for he has been cooking up plenty of fresh bassweight recently. 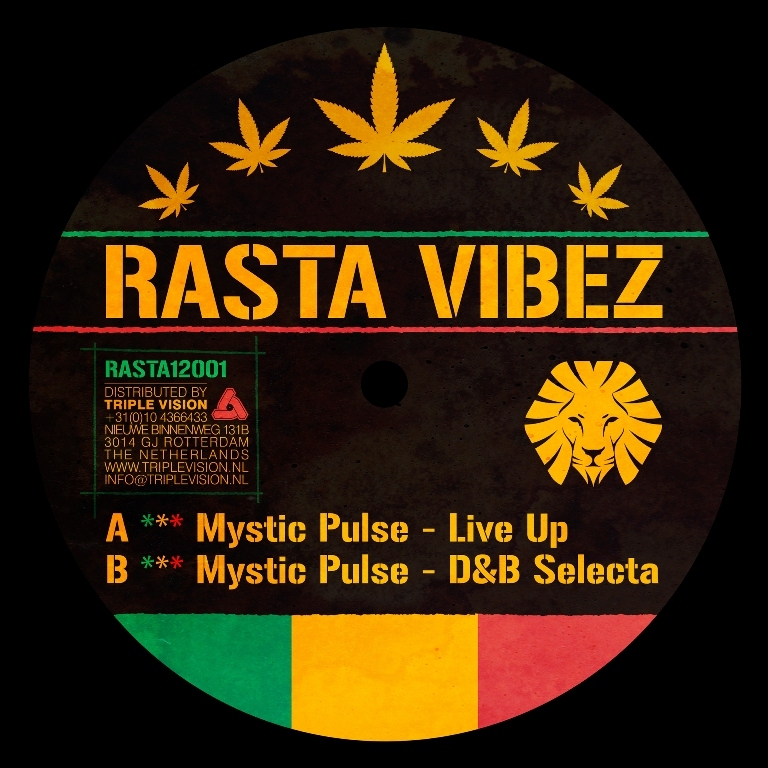 Since launching last summer, Rasta Vibez has carved a niche for itself among the drum and bass community for those seeking out some dub and reggae flecked jungle cuts for the dance. Now, after a successful series of 10" hand stamped records, Mystic Pulse kicks off a new 12" series pushing a more serious and distinguished sound with style. Both sides start off halftime but effectively evolve into breakbeat chaos, which has already proven to shake up the dancefloor big time. In short a must have for all ragga muffin junglists!